THE Bundaberg Junior Tennis Club has praised its volunteers for helping the club to run a fun day at Rotary Park on Sunday. About 130 children and adults gave tennis a go in the event held to promote the game in the region. On the day people were given the chance to be involved in multiple activities as well, all in the name of having a good time. 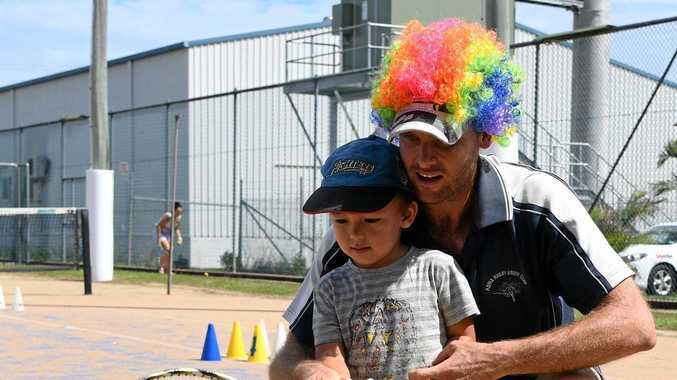 "Everyone had an awesome time,” Bundaberg Junior Tennis Club co-ordinator Kevin Banner said. Banner said the highlight of the day was the opportunity for players to test their serve speeds with a radar gun. The day also raised important funds for the Leukaemia Foundation as part of the World's Greatest Shave. The club is now looking to host another fun day sometime next year at a date to be set.